The Medium Format Box Camera Company - Ansco/Sears Marvel S-20 "Mod"
Change the faceplate... New Camera! At least that seems to be what the folks at Sears were thinking. In their short collaboration with Ansco, Sears released two versions of the same camera, with just a change in the faceplate. We call this one the "Mod" edition, but is the exact same camera as the "Deco" version, except one. This later model had faceplates that were electroplated (? ), and because of this, most remain in fantastic condition today. And of course, it has "The Agfa Ansco Advantage." 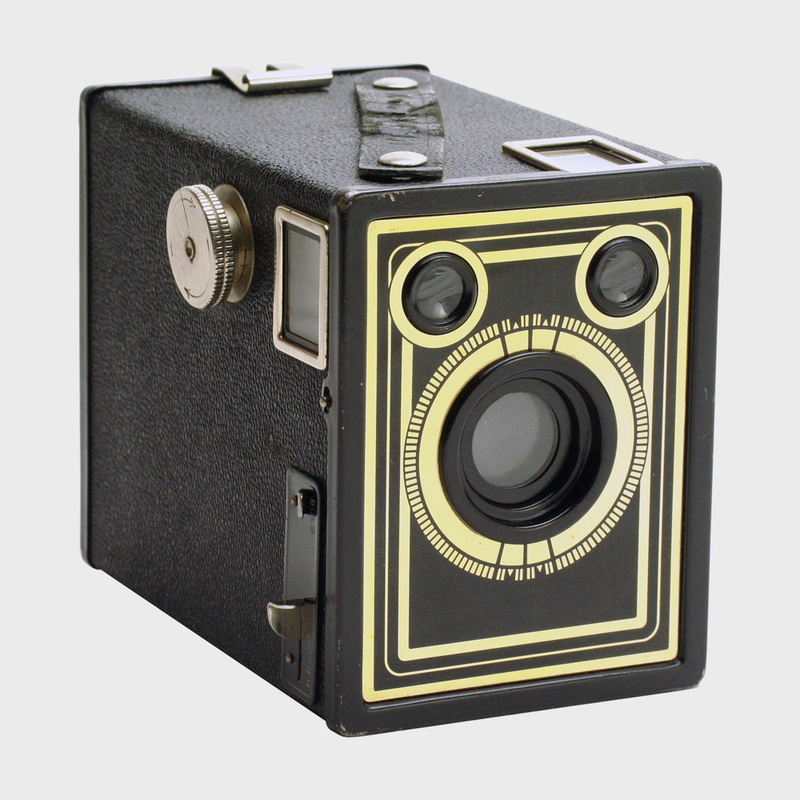 In terms of functionality, the Marvel S-20 is most similar to the Agfa Ansco B2 Shur-Shot, except lacking the apertures tab. Unlike most Ansco-made cameras of this era, you get a tab that slides out to activate the Time mode, holding the shutter open for long exposures, and the removable all-metal film holder, that is far more sturdy than the cardboard version in most Ansco cameras. By this point in time, Ansco had fully adopted the "Always Off" shutter that works like most of us expect a shutter to work, snapping back into place after you make an exposure. In use, this camera is equally as quiet as it's "B2" predecessors, but it's hardly inconspicuous with its golden chrome and black faceplate. As with most Agfa Ansco cameras, your choice as a user really comes down to your taste in faceplates. Beats its cousin only in the shutter department.